An Israeli Air Force Jet. Credit: Maj. Ofer via Wikimedia Commons. Israel, Iran and Syria have remained silent following reports in Arab media of an alleged Israeli strike Friday night on an Iranian military base in Syria that reportedly killed 12 Iranian military personnel. “We do not confirm information from foreign sources,” the IDF told JNS.org. Although he also did not confirm the alleged strike, Prime Minister Benjamin Netanyahu on Saturday night reiterated Israel’s oft-stated position that the Jewish state will not allow Iran to maintain a military presence in Syria. Lebanese and Saudi media stated that the Iranian military casualties were initially reported through the Telegram messaging app on accounts belonging to personnel from Iran’s Islamic Revolutionary Guard Corps. Syrian state television reported that the Israeli strike occurred eight miles from the Syrian capital of Damascus near the city of Al-Kiswa and destroyed an arms depot belonging to the regime. Other reports stated that the target was an Iranian military base that was recently constructed just 31 miles from the Israeli border. In a BBC report that revealed the Iranian base’s presence in November, satellite images showed the construction of some two dozen new structures in the area that are likely used for housing soldiers and vehicles. Analysts estimate that up to 500 troops could be housed in those facilities. Various reports stated that Friday night’s loud explosions were heard near Damascus and that electricity was cut in several areas of Syrian capital during the purported airstrike. Sky News Arabia stated that the airstrike was launched from Lebanese airspace and that Syria’s air-defense system fired on Israeli warplanes. According to Syrian state media, two Israeli surface-to-surface missiles were intercepted by Syria’s air-defense system. Will Russia make Syria ‘clean’ of Iranian forces? The alleged Israeli strike follows reports that Russia is working to remove Iranian forces from Syria. “Russia is working so that [Syrian President] Bashar Assad will control Syria and that the country will be clean of foreign forces, including Iranian forces,” MK Avi Dichter (Likud), chairman of the Knesset Foreign Affairs and Defense Committee, told Israel Hayom last Thursday. Dichter, a former director of the Shin Bet security agency, last week made an official three-day visit to Russia, where he headed a delegation of six Knesset members who held meetings with Russian government officials. Dichter’s trip followed Syrian President Bashar al-Assad’s surprise visit to Russia in late November. While in Russia, Assad relayed a message to Israel via Moscow that Damascus would be willing to implement a 25-mile buffer zone along the Jewish state’s border with Syria. Russian President Vladimir Putin reportedly delivered the Syrian offer to Netanyahu in a phone call. Netanyahu stated that he would be willing to discuss the deal with Israel’s security establishment, but that Israel still seeks the complete ouster of Iran and the Lebanese terror group Hezbollah from Syria. attacked a Syrian munitions factory Nov. 1 in the area of Homs. No casualties were reported following the incident. Israel also allegedly struck three Syrian rocket launchers Oct. 21, after several rockets from Syria entered the Israeli Golan Heights. 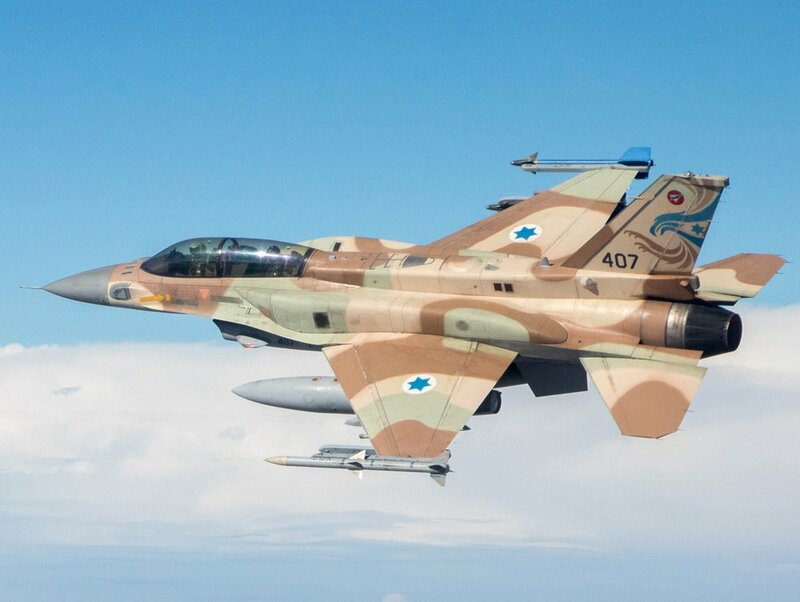 Days before the incident, Israel purportedly destroyed a Syrian anti-aircraft battery after it opened fire on Israeli Air Force reconnaissance planes. Posted on December 3, 2017 by Adam Abrams/JNS.org and filed under News, Israel and tagged Main.